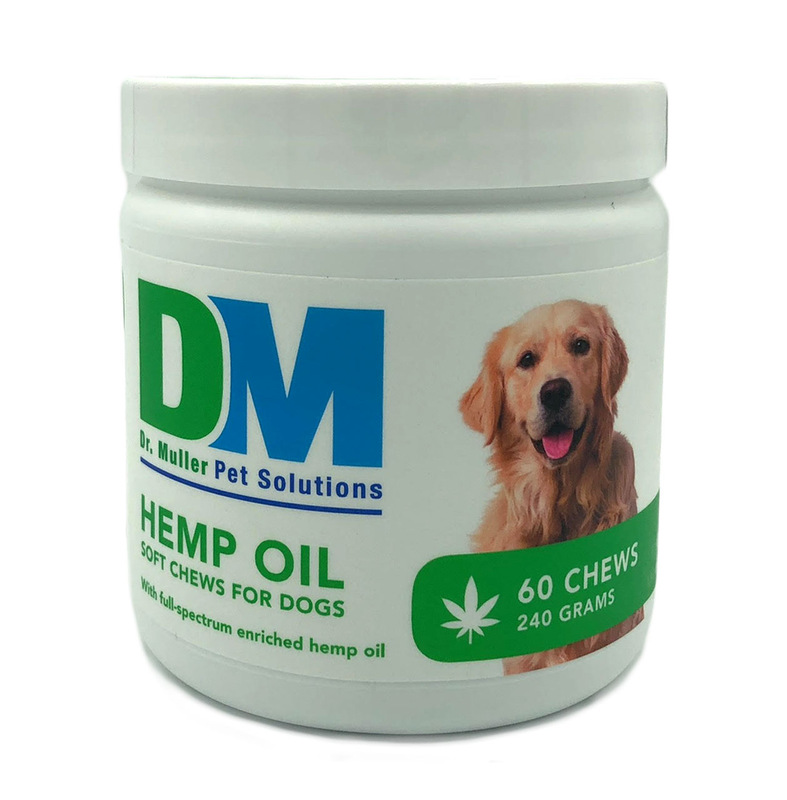 Let your dog experience the benefits of hemp oil with new Dr. Muller Hemp Oil Soft Chews for Dogs. These hemp oil chews have 15 mg of full-spectrum enriched hemp oil per chew. The anti-inflammatory hemp oil is rich with omega-3 and omega-6 fatty acids and antioxidants. Natural additions like valerian root and passionflower can reduce anxiety and calm nervous dogs, while ginger root and Vitamin E support joint pain relief and reduce inflammation. If your furry friend suffers from anxiety, joint issues or dry skin, this is the all-in-one solution to improve overall health. These tasty cheese-flavored chews with natural hemp oil fight against the process of aging and help make your dog feel great.